The revenue collection target by the National Board of Revenue (NBR) has been set at Taka 2,96,201 crore in the proposed national budget for FY19. Of the total target, the bulk of Taka 1,10,543 crore will come from the Value Added Tax (VAT). The Finance Minister revealed this while placing the proposed national budget for FY19 at Jatiya Sangsad on Thursday. Muhith informed the House that the NBR is eying to collect the 2nd highest Taka 1,02,201 crore revenue from the income tax and other direct taxes followed by Taka 48,766 crore from the supplementary duty, Taka 32,589 crore from import and export tax, Taka 2,091 crore from excise duty while the rest of Taka 11 crore from turnover tax. 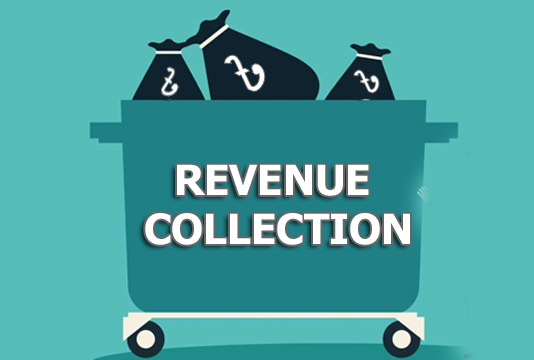 The revenue collection target by the NBR in the outgoing fiscal year (FY18) was earlier set at Taka 2,48,190 crore which was later revised at Taka 2,25,000 crore. Noting that it is essential to collect adequate revenue from internal sources to continue current economic progress, Muhith said the present government has emphasized on collection of revenue not by increasing tax rate but through expansion of tax base and encouraging self-compliance by reforming existing tax system. In case of Income Tax, he said the area of tax related services has been expanded, Income Tax Fairs are being arranged throughout the country, where taxpayers are participating with great enthusiasm. This year, Muhith said almost 2 lakhs taxpayers have submitted Income Tax Return in tax fairs; almost 9 lakhs taxpayers have received tax related services. He said initiatives have been taken to make the tax management system fully automated and digitalized by increasing the use of ICT in tax administration; e-TIN registration is working very smoothly; on-line return submission system has been introduced, plan of enhancement of which is also being taken. “We hope that a considerable number of taxpayers are going to submit their returns on-line in upcoming years. Tax collection is no more considered as harassment. Tax base is quite extensive now. The number of registered tax payers and return submission has increased beyond our expected level,” Muhith said adding the number of registered tax payers is more than 35 lakhs now. The veteran Minister also hoped the number of registered taxpayers and return submission within next 5 years would be one crore and eighty lakhs, respectively. “People’s trust in income tax system, especially spontaneous participation of young generation in tax payment is giving us a very positive signal,” he added. Since the highest portion of revenue is being collected from VAT and Supplementary Duty among all the revenues collected by NBR, he said the government has taken initiatives to introduce VAT Online system as a part of digitalising the VAT administration to strengthen the revenue base. He informed that already 1,05,000 units have taken on-line VAT registration, initiatives have been taken to install Electronic Fiscal Device (EFD) in business units for ensuring transparency in VAT collection system. “After implementation of these reforms, cost of doing business will decrease, business friendly environment will be created, momentum shall be created in revenue administration, evasion of tax will decrease, transparency in revenue collection will be ensured and growth of VAT collection will continue,” he added.